IBERIABANK Mortgage and related companies have agreed to settle a whistleblower lawsuit that alleged they violated the False Claims Act, the Justice Department announced. 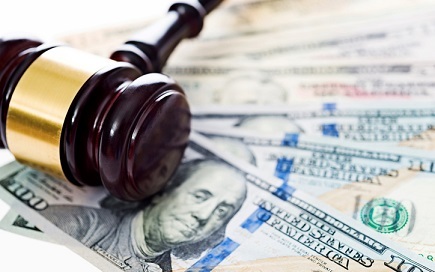 IBERIABANK Mortgage, IBERIABANK Corp., and IBERIABANK will pay approximately $11.7 million to resolve claims that they falsely certified that they complied with federal requirements to obtain mortgage insurance from the Federal Housing Administration (FHA). During the period covered by the settlement, the companies participated as a direct endorsement (DE) lender in the FHA insurance program. The companies admitted that from Jan. 1, 2005, to Dec. 31, 2014, they certified mortgage loans that failed to meet underwriting and origination requirements set by Department of Housing and Urban Development. The loans were thus ineligible for FHA mortgage insurance under the program. As a result of the companies’ conduct and omissions, HUD insured ineligible loans and subsequently incurred losses when it paid FHA insurance claims on certain of the ineligible mortgages. These mortgages included ones where the companies’ loan files contained inadequate documentation of the borrower’s income, unresolved appraisal discrepancies concerning declining home values in the relevant neighborhood, and inadequate verification related to the borrower’s down payment. The settlement stems from a whistleblower lawsuit filed by former IBERIABANK employees under the False Claims Act. The whistleblowers will receive a 20% share of the recovery.